Semi-final at the 2014 UEFA European Under-17 Championship with Portugal. Ruben Neves is a pearl in the FC Porto Academy. For many years, he was a star in its youth teams and was close to making his debut in the B team last season. In the pre-season 2014, the new “Dragons” manager Julen Lopetegui decided that young Ruben will train with the first team. As a reward for his hard work and progress, he got a chance to start a friendly against Saint-Etienne, where he played very well. Few weeks later he made his professional debut, on 15th August in a league fixture against Maritimo and even scored a goal in this match. He was a captain and a leader of the Portuguese U-17 national team at the U-17 European Championship in Malta this year, where he led his team to a semi-final, which they lost against England. 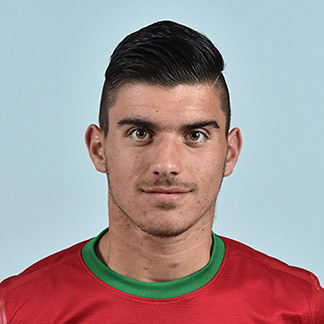 For his performances Neves was named among the top 10 talents of the tournament by a selection of UEFA reporters.